ONE Championship (ONE), in cooperation with City of Dreams Manila, held the ONE: HERO’S ASCENT Official Kick-Off Press Conference last Tuesday, 22 January.. 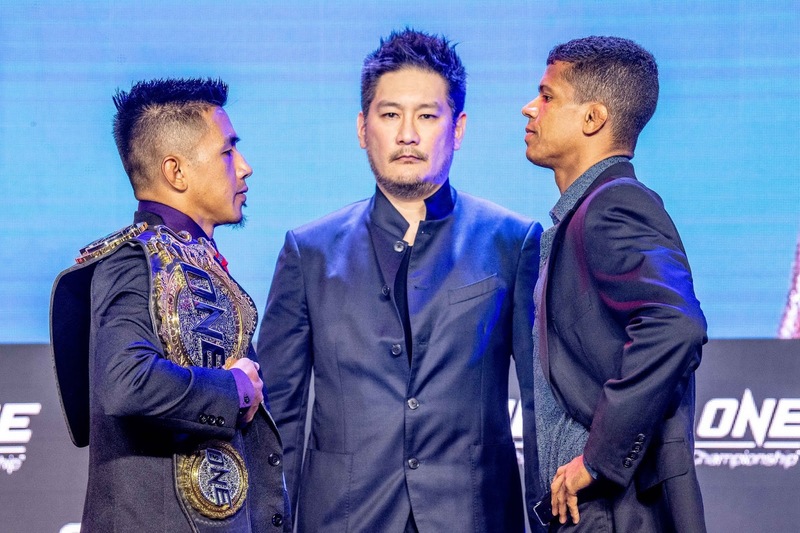 In attendance was Mr. Chatri Sityodtong, Chairman and CEO of ONE Championship, Mr. Michael Ziemer, Vice President for Hotels and Food and Beverage at City of Dreams Manila, reigning ONE Flyweight World Champion Geje Eustaquio, and former ONE Flyweight World Champion Adriano Moraes. Also in attendance were some of the athletes set to compete at ONE: HERO’S ASCENT, which emanates from the Mall of Asia Arena in Manila on Friday, 25 January. Athletes included Honorio “The Rock” Banario, Lowen Tynanes, Danny “The King” Kingad, Tatsumitsu “The Sweeper” Wada, Fahdi “The Gladiator” Khaled, and Rodtang “Iron Man” Jitmuangnon.